Model year updates include new grille design and LED lights. 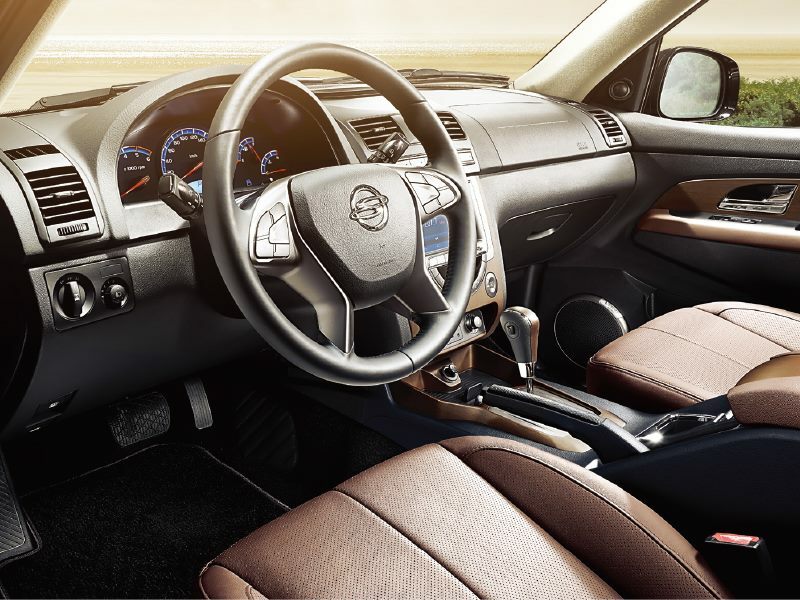 Korean car maker Ssangyong has brought some cosmetic and feature updates to the MY2015 Ssangyong Rexton. On the outside, the Mercedes M-Class based SUV gets new design alloy wheels, a vertical grille, LED daytime running lamps, new badging, and HID projector headlamps. On the inside, the vehicle gets a new steering wheel, heated seats, LED cabin lamps, and a refreshed centre console. Cosmetic updates on the 2015 Ssangyong Rexton include a redesigned radiator grille, new alloy wheels, inclusion of LED DRLs and HID headlamps. Mechanically, the vehicle remains unchanged, powered by either a 2.0-liter diesel, 2.7-liter diesel or a 3.2-liter petrol, with 6-speed manual and 5-speed automatic gearbox options, and in AWD and part-time 4WD choices. 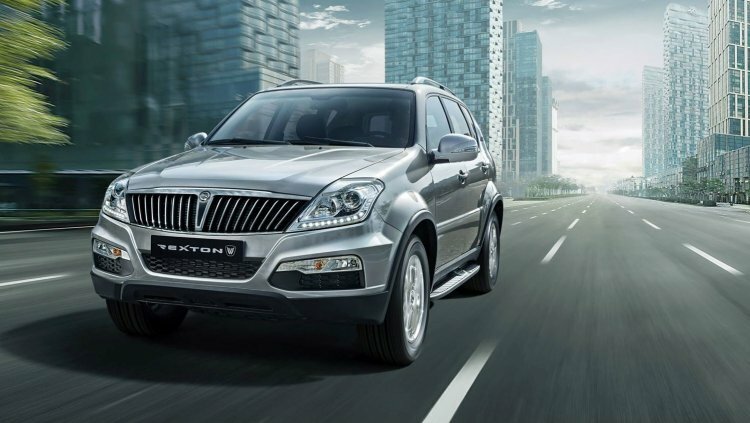 Existing features on the Rexton include ESP (Electronic Stability Programme), TPMS (Tyre Pressure Monitoring System), cruise control, smart key entry, rain-sensing wipers, and a Bluetooth-enabled audio system. 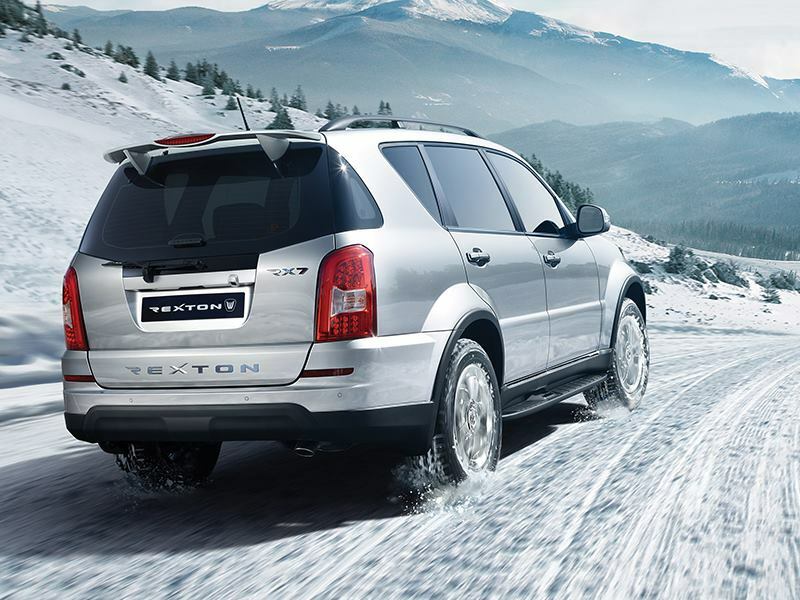 New steering wheel, heated seats, LED cabin lamps are some of the changes on the interior of the 2015 Rexton. It remains to be seen if Mahindra brings the update to Indian model this year. In India, the Rexton is the only offering from the Ssangyong brand, and is positioned against vehicles like the Toyota Fortuner, Mitsubishi Pajero Sport, and Hyundai Santa Fe. It has not received cosmetic changes since the launch in late 2012. It remains to be seen whether the updates make it to the Indian model as well. Also read: Ssangyong registers Tivoli and Luvent names in the U.S.
Globally, Ssangyong managed to sell a total of 141,047 vehicles last year, surpassing the 140k mark for the second consecutive year, with 69,036 units sold in the domestic (Korean) market. Ssangyong's latest product, the Tivoli, made its debut in Korea earlier this week, and will soon be exported to markets like Europe, China, and Latin America.